The brachial plexus is a group of nerves between the neck and shoulder that send signals to nerves in the arm – it is responsible for movement and feeling in the arms, hands, and fingers. When injury occurs to the lower portion of the brachial plexus, it can result in a condition known as Klumpke’s palsy. Those who suffer from Klumpke’s palsy often have extremely limited function in the lower arm, hand, and oftentimes the wrist. Neuropraxia: A stretching of the nerves in the brachial plexus. This is often the result of ischemia or of compression from downward traction during delivery and operative delivery, and is the least severe form of Klumpke’s palsy. Axonotmesis: A tearing of the brachial plexus nerves from the spine (known as avulsion) or other attached nerves (known as rupture). This is a moderate form of Klumpke’s palsy. Neurotmesis: A scarring of nerves in the brachial plexus. This is often found in association with severe lesions to the around the brachial plexus, and is the most severe form of Klumpke’s palsy. How is Klumpke’s Palsy Diagnosed? Electromyogram (EMG): An electromyogram can test the electrical activity of a muscle in response to stimulation. If a professional finds that a child lacks the natural response to stimulation in the lower arms or hands, this can indicate the presence of Klumpke’s palsy. Imaging Studies: Imaging studies, such as an x-ray, ultrasound, or MRI, may be performed in order to spot damage to the bones or joints of the brachial plexus region, which may signify the presence of the condition. Nerve Conduction Studies: These studies can measure the extent of the damage to the brachial plexus nerves, which can help classify the injury as neuropraxia, axonotmesis, or neurotmesis. Immobilization of Affected Limb: If Klumpke’s palsy is mild or moderate and is noticed shortly after birth, the affected arm may be immobilized (pinned across the body) for up to two weeks. This prevents any further injury and allows the mildly injured nerves to heal. In conjunction with this, some providers recommend gentle massaging of the arm. Physical Therapy: Physical therapy is often needed to help children with Klumpke’s palsy. Therapeutic rehabilitation and range of motion activities are often utilized to encourage healing and promote proper use of the arm, hand, fingers, or wrist. Medications: In some cases of Klumpke’s palsy, affected individuals will experience pain. Doctors can prescribe medications to ease pain and relieve negative sensations. Nerve Transfer: During this procedure, a nerve from a different muscle or muscle group can be moved to the brachial plexus region to replace the affected muscle, thereby restoring function to the arm, hand, wrist, or fingers. Nerve Graft: In a nerve graft surgery, a small portion of a different “donor” nerve can be placed into the affected region to repair nerve ruptures. Muscle Transfer: If Klumpke’s palsy is severe, it can lead to deterioration of the muscles in the affected limb. A muscle transfer can restore function by moving a muscle from a different part of the body into the affected limb. The majority of babies with mild or moderate Klumpke’s palsy can recover from their injuries within a year if the proper therapies and treatments are administered. If, however, Klumpke’s palsy is severe or isn’t treated in a timely manner, a child may suffer from limited movement or paralysis in the affected arm for much longer. In rare cases, these severe injuries can impact an individual over an entire lifetime. Klumpke’s palsy cases require extensive knowledge of both the law and medicine. If you are seeking the help of a Klumpke’s palsy lawyer, it is very important to choose a lawyer and firm that focus solely on birth injury cases. 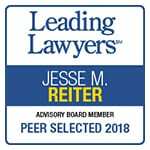 Reiter & Walsh ABC Law Centers is a national birth injury law firm that has been helping children with birth injuries since it was formed in 1997. If your child was diagnosed with a birth injury, such as Klumpke’s palsy, cerebral palsy, a seizure disorder or hypoxic-ischemic encephalopathy (HIE), the award-winning birth injury lawyers at ABC Law Centers can help. We have helped children throughout the country obtain compensation for lifelong treatment, therapy, and a secure future, and we give personal attention to each child and family we represent. Email or call Reiter & Walsh ABC Law Centers at 866-822-7484 for a free case evaluation. Barry Russman, “Neonatal brachial plexus palsy,” UpToDate (2016). Genetic and Rare Diseases Information Center, “Klumpke paralysis,” National Center for Advancing Translational Sciences (2010). Neurology and Neurosurgery, “Klumpke’s Palsy,” Baptist Health (2017). This page is intended solely as an educational tool. It is not intended as – and should not be mistaken for – medical advice.